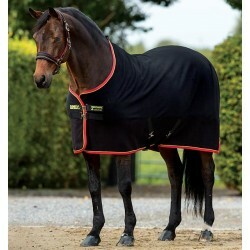 This all-in-one fly rug is back and has a stretchable neck cover, for ultimate comfort and elasticated leg straps. 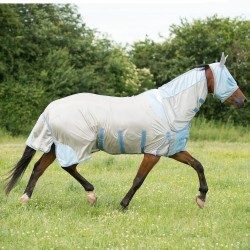 The Beach feel of the colours really brings the summer to life. This Gallop All-in-one rug features a breathable tight weave mesh outer and built-in UV protection for protection against those rays on both hot and cooler days. 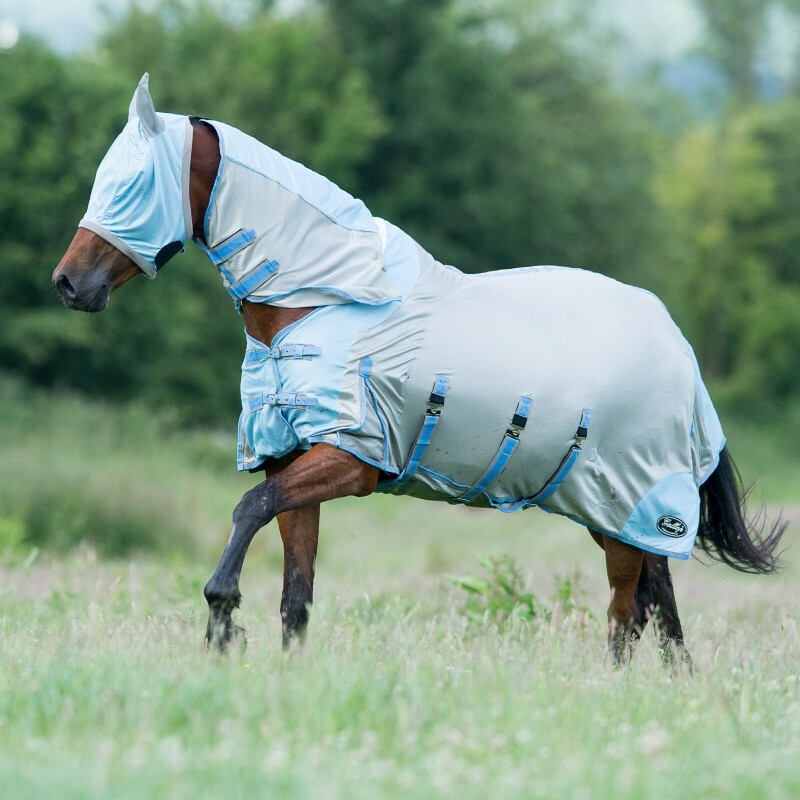 There are a belly flap and elasticated leg straps. The neck and chest of the rug are nylon lined and there is a large tail flap to the rear. 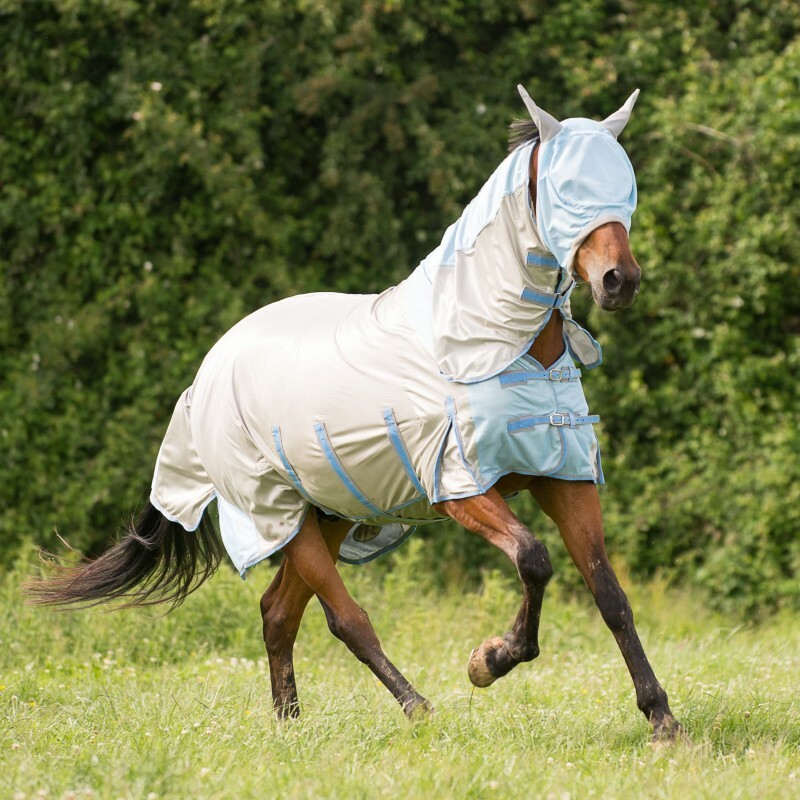 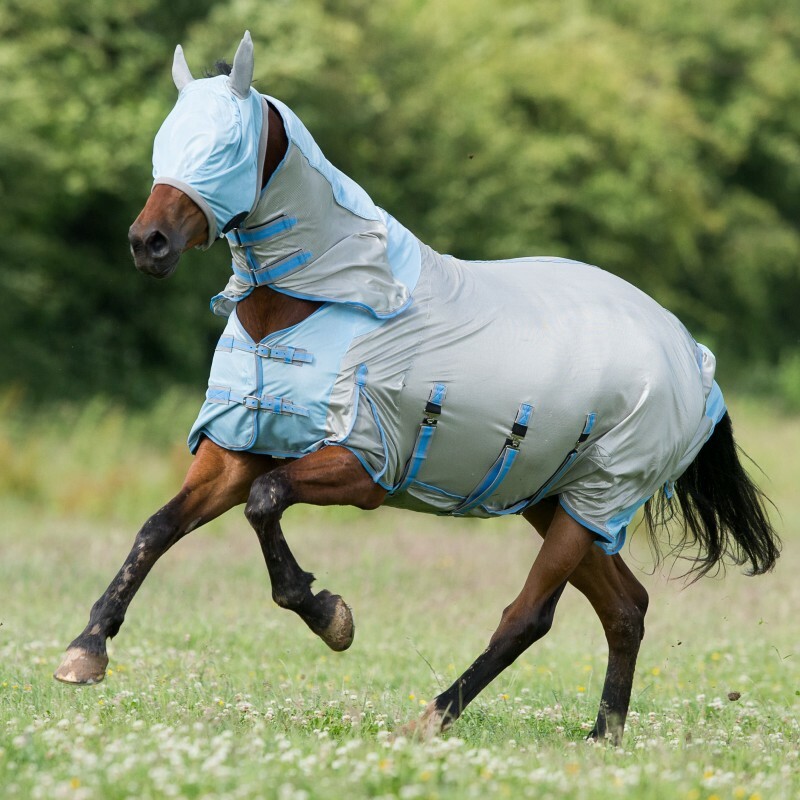 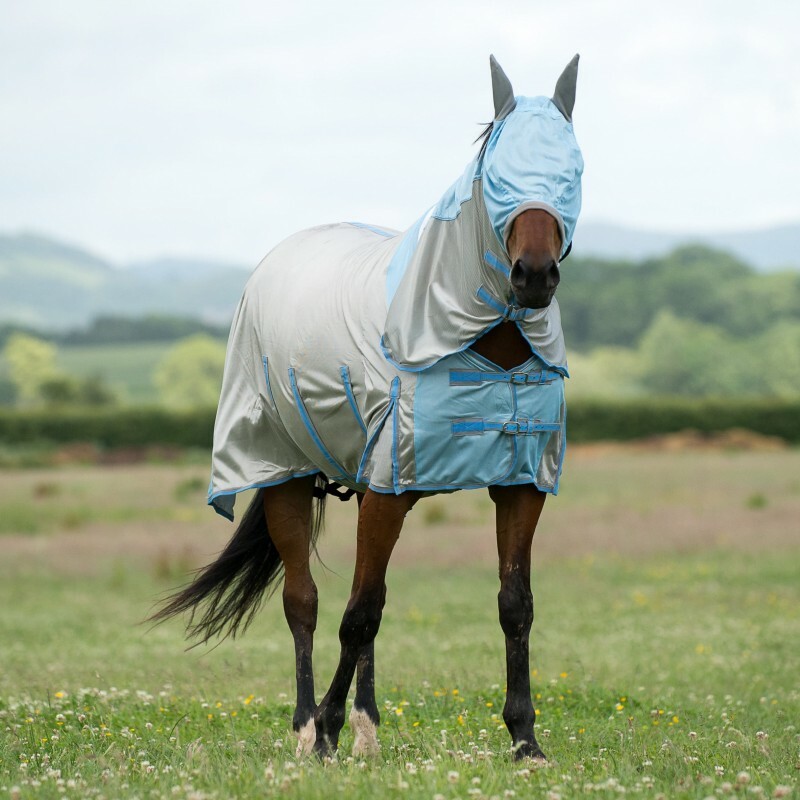 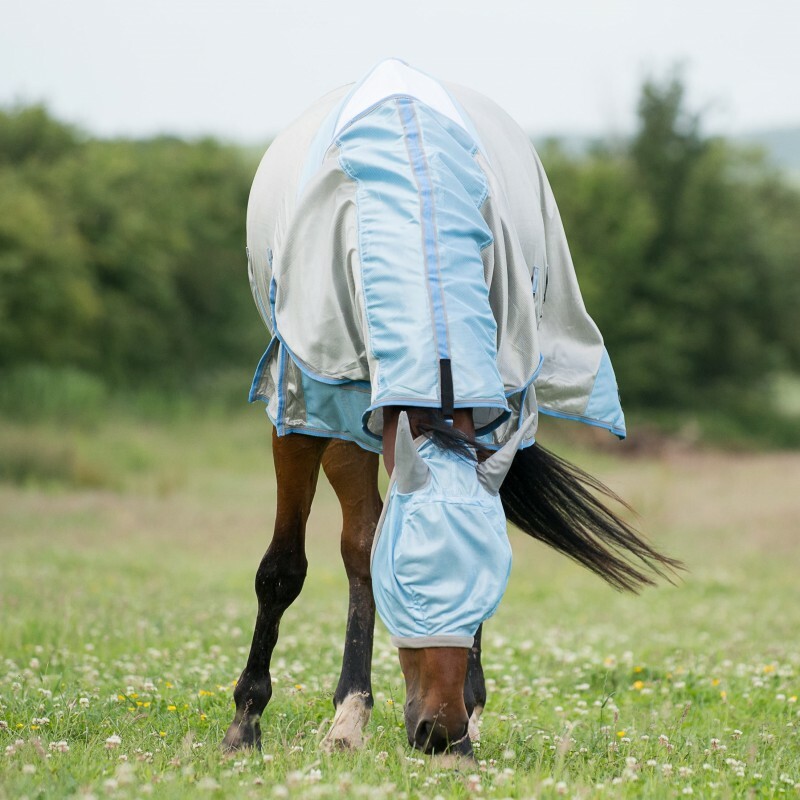 This fantastic fly rug also features an included fly mask, stretchable lycra neck insert, shoulder pleats, a fixed neck and double front buckles.